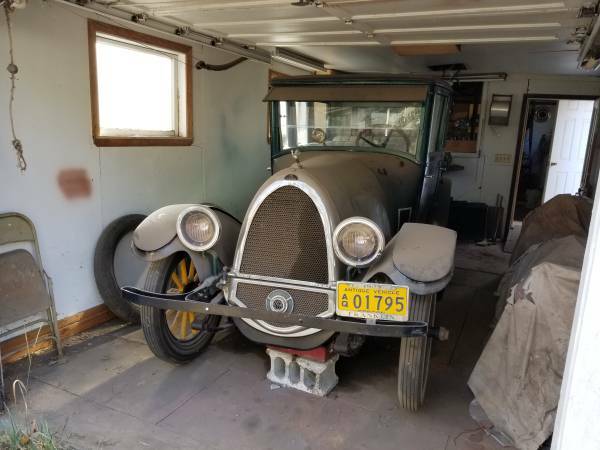 This is very old car being offered for sale at Craigslist, is one example of the late production cars made by an American manufacturer Franklin Automobile Company. 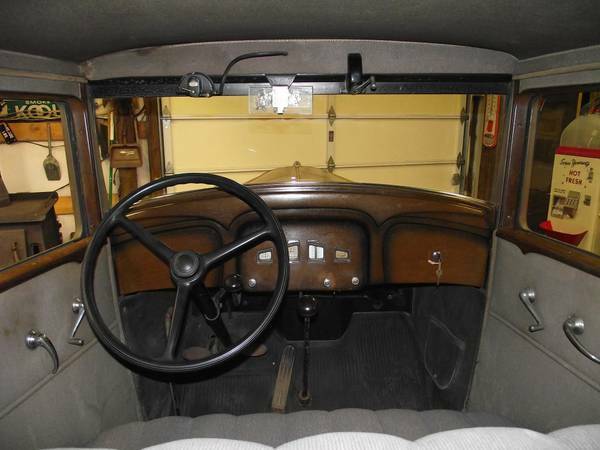 As shown here is 1923 Franklin 10B Sedan recently fresh out of 35 years storage. Franklin was a luxury brand for its era, that was sold about 150,000 cars over the course of more than 30 years in existence. And this believed as one original example were still exist today. Interesting candidate as antique restoration project. 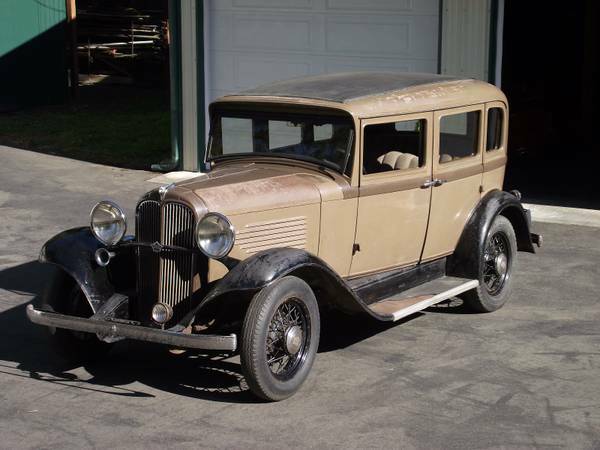 This American antique car made by Willys Overland in 30s, as shown here is 1932 Willys Overland 690 4-door sedan being offered for sale at Craigslist for $10000 located in Hansville, Washington. Described as an original example, that was parked in barn for the last 67 years after being driven and serve the original owner for more or less 20 years since new. This could be a perfect bone to restored, it has been parked indoors in 1951 with only 79000 miles on it and never use ever since, now needs a light restoration in order to run properly. 86 years old car, the exterior still with its original factory paint and still in greats shape with minor surface rust and few dents as normally sign of usage. Remarkable interior for its age, very clean and neat seems like rarely use and no need serious attention to renovated, all presents well by photos. Assuming the frame is as good as the photos show, the majority of effort on this car will go into the rust repair and rebuilt engine. 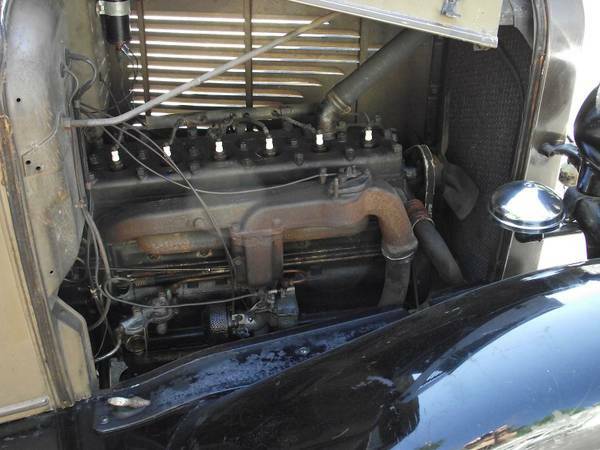 This flathead six-cylinder engine is believed to be genuine, and needs a lot of attention in order to make run again. 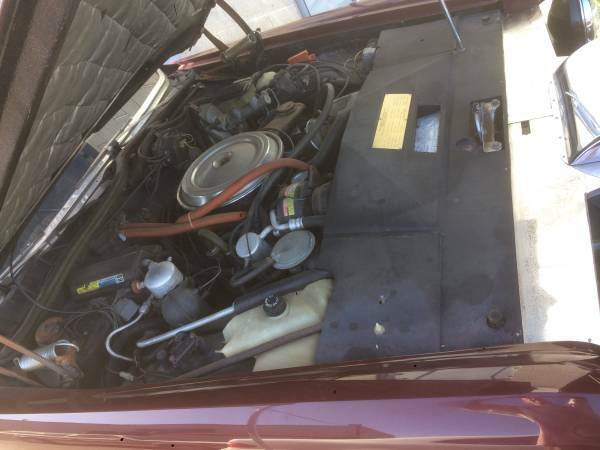 Some parts have been installed and updated but have not made them run, if interested you should come see directly to find out how far the job will be needed. 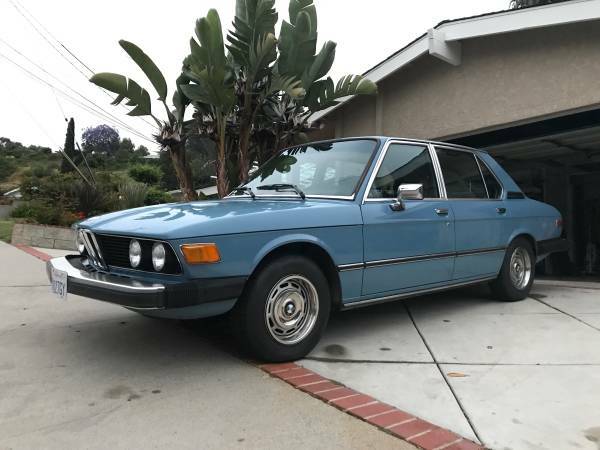 Found this a nicely example of the BMW 5 Series lineage being offered for sale at Craigslist for $5200 located in San Diego, CA. 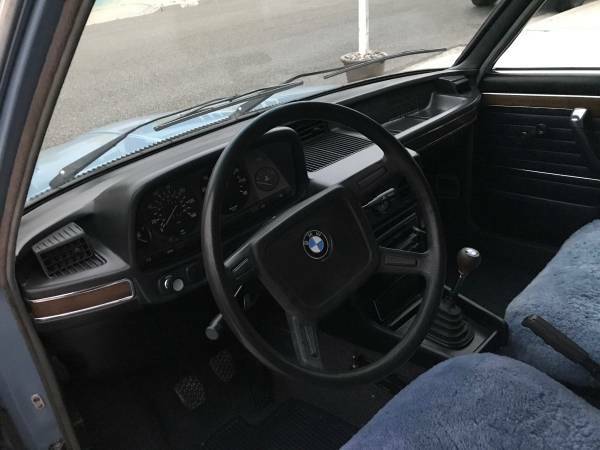 As shown here is 1977 BMW 530i 4-door sedan was listed as a barn find and one owner example with 77k original miles on it. The car looks nicely show by photos, unfortunately the engine bay not included. The car looks well preserved from every provided angles, however photos are limited and neither lighting not 100% ideal. This is not perfect but is a potential bone as a light restoration project, if you're one prospective of the seriously buyers, must see directly to get a real data to consider as a good deal. Black interior not present well by a low light photo, but looks still in good shape overall even still needs few works to perfect. The owner says all seats need re-upholstered and the radio does not work and other minor issue can find when you asking. The most American-made cars and trucks can claim as much as 90% of U.S.-sourced content includes the design. 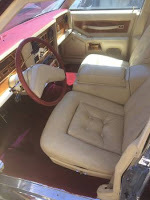 As shown here is one of the classic American-made cars offered in the 80's, despite it was built in Italy but the design is deliberately like that to fulfill American taste, looking older than most cars at that time. Designed exclusively as a luxury car made by Stutz Motor Company based in Indianapolis, Indiana, USA. 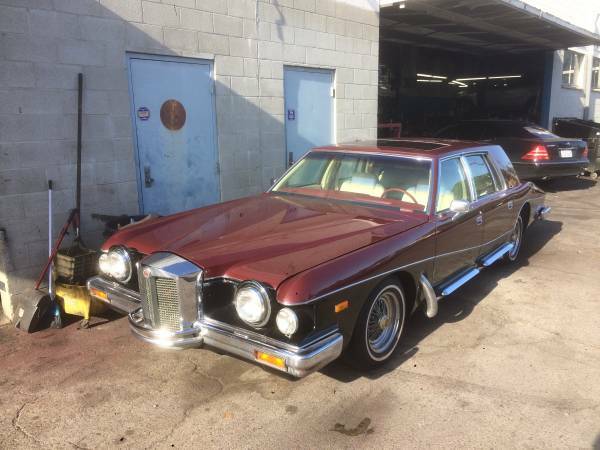 This 1984 Stutz Victoria Limousine the only one in the world with side pipes claimed by the seller. The shape and apperance look very similiar with other model the Blackhawk, the difference is only on the number of doors between both, four for Victoria and two for Blackhawk. The interior remained with its original 24 carat gold trim, equipped a lot modern stuff with retro classic style into it, all still look clean and neat at the 33 age. 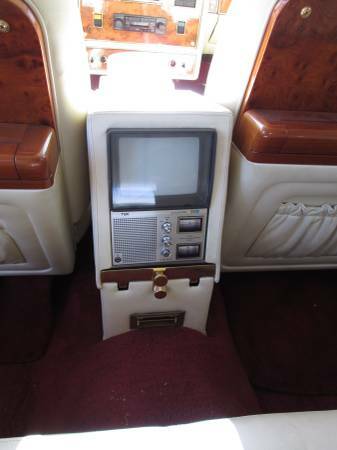 On the dash has fitted the high-tech of the 80s audio system and the rear - ample legroom comes with huge trays and a TV. Obviously it could be amazingly car ever made, it has so many crazy things to making it happen including its ridiculously high production cost just for shipping between US and Italy. This car was a high class car built in 1984 with everything it has, sold apparently close to $100K in that time, which is the equivalent of $250K or more today. Not sure but most sources say only about twenty of this Victoria model were made and this could be one of them. By rarity is very real and the condition was greats for its age, but the price seems like does not reflect high of value, not ideal for investment. Does it mean "Rare Doesn't Always Mean Desireable" may is the words that are suitable for this car. Would probably suit to a rich man with eccentric souls. This is an old American car made by Packard in the 50s, a very short production line only two years 1953 and 1954 was offered as a four-door sedan only, designed to replace Packard 300 models called the Packard Cavalier. 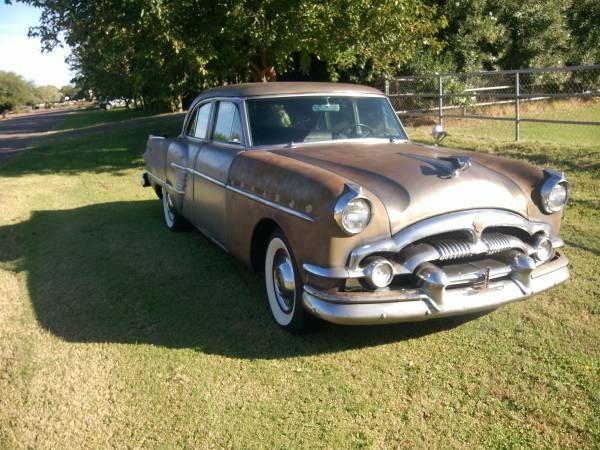 As shown here is one original example of the 1954 model still in good condition with a rare Senior Trim Package. A light restoration project need to completed: not so far from the finish line. 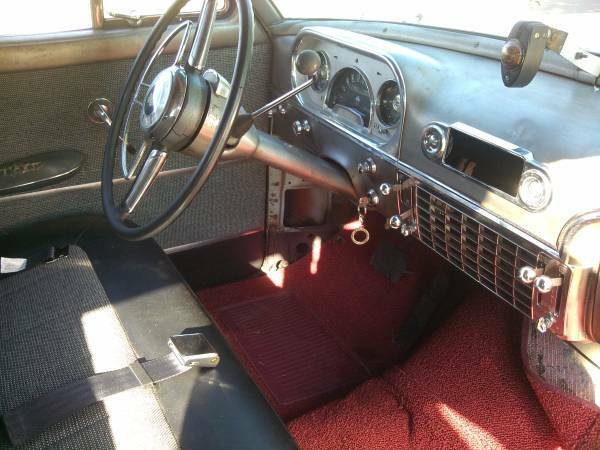 Reportedly by seller it has been totally restored except paint, the interior has renovated except headliner, and no words about mechanical issue. If you are interested you should come to see directly for sure condition. Not all touched by renovated, still few works needed to be perfect. 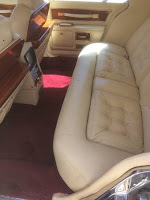 The good thing: it has some modified and upgrade to meet of the modern safety regulation, new 3 point seat belts in the front and lap belts in the back was added. 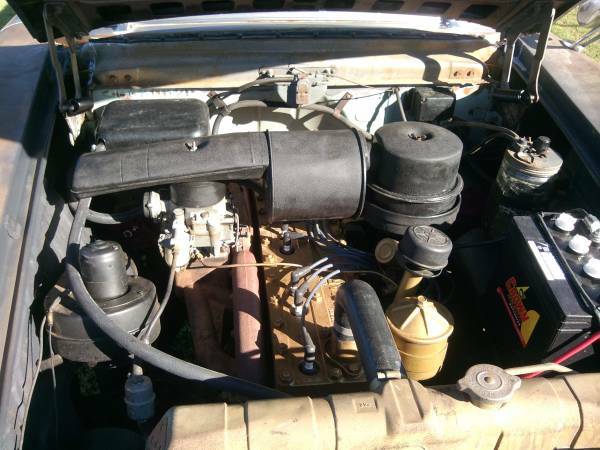 As shown here is a 327 Straight 8 engine mated with automatic transmission, sitting neatly in place, and nothing disturbing the eyes all looked clean and nice, hoping everything was done right. Nice to see what has been done, looks hard work has been traversed, just how you will continue in correctly is the point.